It is with a heavy heart that we inform you of the passing of Anita McCartney. She lost her battle with cancer on July 11th. Anita has worked at the Quilted Crow for 5 years. 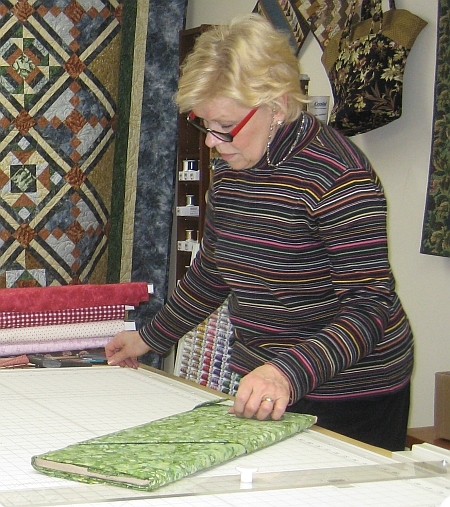 We are sure many of you have benefited from Anita's quilting knowledge and her great eye for color. Anita was an integral part of the shop and will be truly missed. Please allow us to extend our condolences to her friends and family. NOTE: The Friday session of this class is full but there are still TWO openings for the Saturday class on 7/22 - see below for details. COMING SOON: Log Cabin Purse and Versatile Wave Purse - watch this space for details! Crow Sew - The next scheduled meeting at the Crow will be onWednesday, July 19th at 10am. 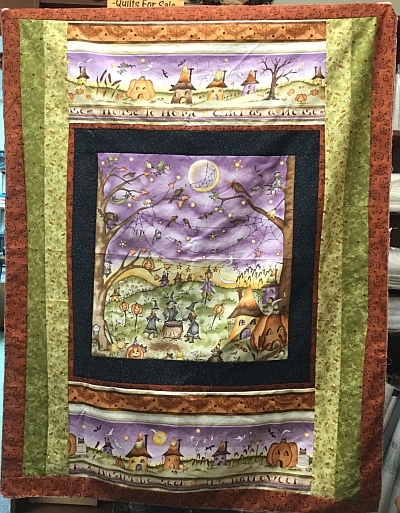 As we mentioned last week, we now have the entire 27 bolt collection of this whimsical and colorful Halloween fabric in stock. To view the individual bolts in the collection on our website, click HERE. This 40" x 51" Wall Hanging kit, which uses the panel and coordinating fabrics from our "On The Web" fabric collection, is now available in the Shop for $35. Help us make room for the new fall & Christmas fabric collections! 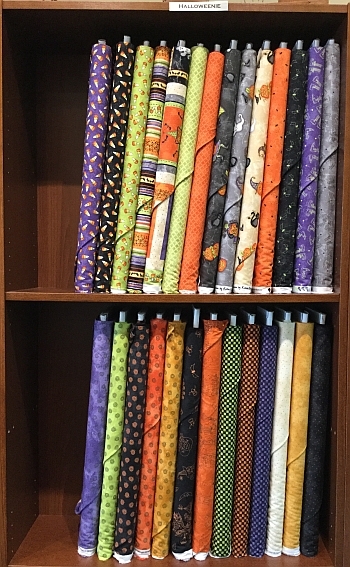 Last season’s fall & Christmas fabric collections are now on sale for 30% off the regular price. The sale will continue through the month of July. Hurry in for best selection!